Welcome to my Saturday, the last day of my work week. I am so looking forward to my three days off... in a row. An update on my progress through "Assassin's Creed, Odyssey" - I've just been to the Oracle at Delphi, which is pretty neat. I once wrote a short story about a modern day man who visits the Temple at Delphi and for a while begins to prophesize. I did a couple of hours research on the Oracle and Ubisoft seems to have got the layout down perfectly. 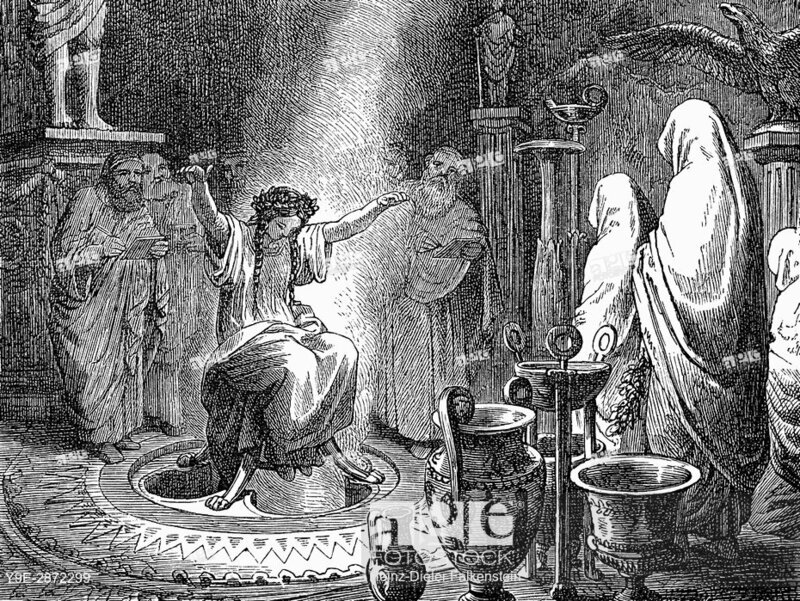 Their only misstep was in having the Pythia in a large room. 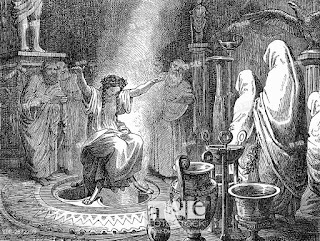 Historically, it seems, she was in a small, basement room lit only by oil lamps... lots of oil lamps, sitting on a three legged stool over a fissure from which fumes burbled upward. That's right, experts are fairly certain she was gassed most of the time. I wonder how she listed that skill set on her resume. Finally, my friend Steve asked out my book sales were doing. He was surprised when I told him I wasn't tracking them. I told him that at this point there is not too much I can really do... except start on the next one, which takes place in Paris during the last few stages of the Tour de France. I have never leased a car in my life and never will. just made payment #3 of 60 on the soul. And my first one should happen around Thanksgiving.